Christopher Ochs, Auburn Man, Killed in Separate Hawthorne Suites Assault and Shooting, Only Weeks Apart. Negligent Security? Did a fatal security lapse contribute to the tragic loss of these men? Weeks after 36-year-old Christopher Ochs was beaten to death at a Hawthorne Suites hotel in Kent, a second man has now lost his life in a fatal shooting at the same property. According to KIRO 7, a 48-year-old Auburn man was shot and killed while exiting his vehicle “in the parking lot at the Hawthorne Suites” Wednesday morning, January 3, 2018. Christopher Ochs was severely beaten in a “common area” of the same hotel on December 15, 2017, per Seattle Times reports. Mr. Ochs tragically succumbed to fatal injuries six days later. The tragedies raise grave questions over hotel security. 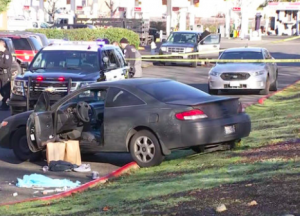 Kent Police told KIRO 7, “crime does occur in this area and we do enforcement in this area.” A “double murder” apparently occurred “at the neighboring Shell gas station” in August 2014. Did negligent security contribute to this senseless loss of life? We represent individuals and families who have suffered a tragic loss or injury as a consequence of negligent property security. 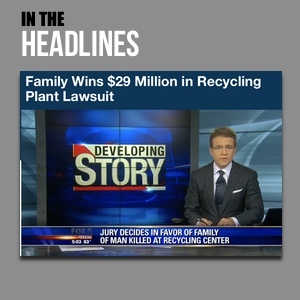 Read Our Legal Take below to find out if the victims’ families may have a legal avenue for justice and claims for substantial compensation in Washington, or call now for a free consultation with our legal team: 888.842.1616. Hotel guests have a right to feel safe and secure while on the premises. The Murray Law Firm questions the level of security provided on the property and whether these tragedies may have been prevented. Where was hotel security, staff and management at the time of the fatal assaults? What security measures, such as bright lighting, surveillance cameras and security patrols, were implemented by the hotel owner following prior media reports of area violence? Generally, property owners are required to protect all those legally on the premises from any foreseeable harm. Should the facts of this matter reveal that the hotel owner failed to provide adequate security to protect those on its premises, the families of Christopher Ochs and the most recent victim may seek justice and elect to pursue legal claims for their wrongful deaths.